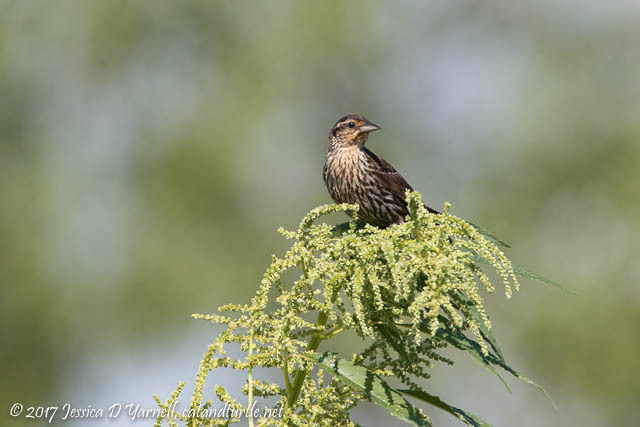 The summer rush of breeding activity has definitely wound down at the Lake Apopka Wildlife Drive. But there is still a fair amount of activity out there for the photographers who venture out in the heat! 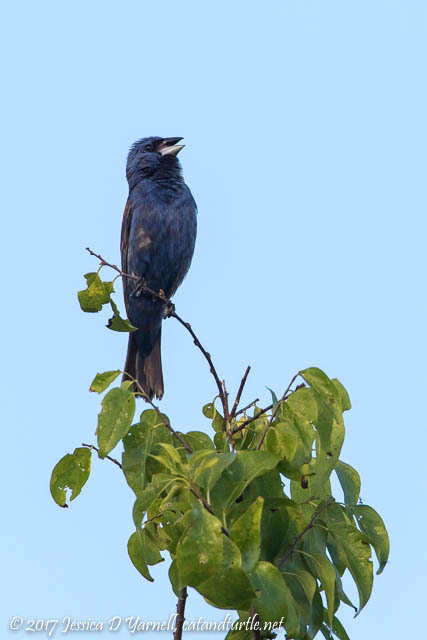 When I first pulled up to Lust Road, the Blue Grosbeak was singing as usual. Except he wasn’t on the power lines. He was in a nearby tree instead. I applauded him for his excellent choice of photogenic perch! The activity at the pump house was exciting again. Dozens of alligators feeding on fish. 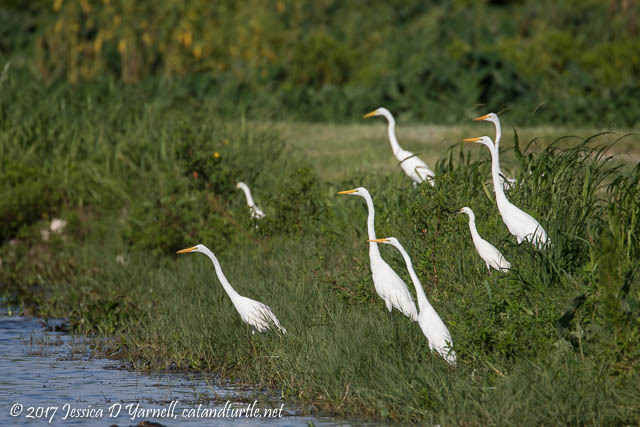 This time, the pond was lined with white wading birds, all on the hunt for breakfast. 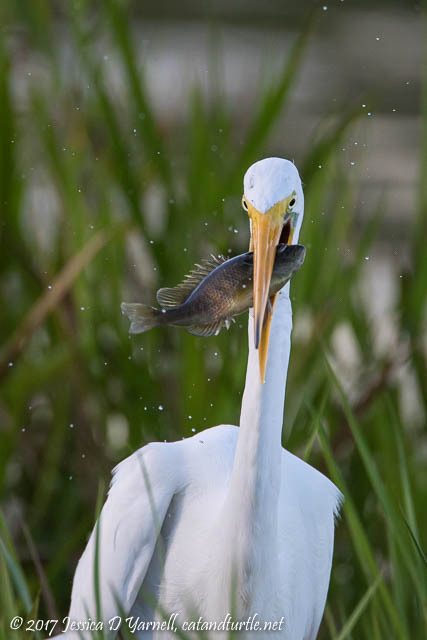 This Great Egret had just caught a fish. He helped it dripping in his beak for a moment. Then he tossed it gently, angled it face-first, and executed the final gulp. Flight shot opportunities abounded that morning. 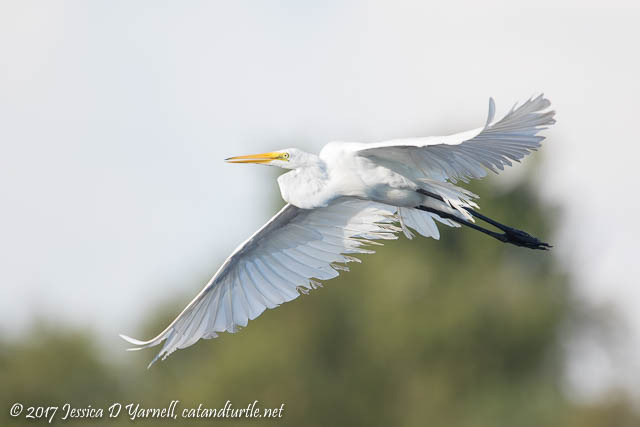 Egrets and herons flew over the pond at regular intervals as they searched for food. Manual exposure was a must as they flew high and low, in and out of the trees. 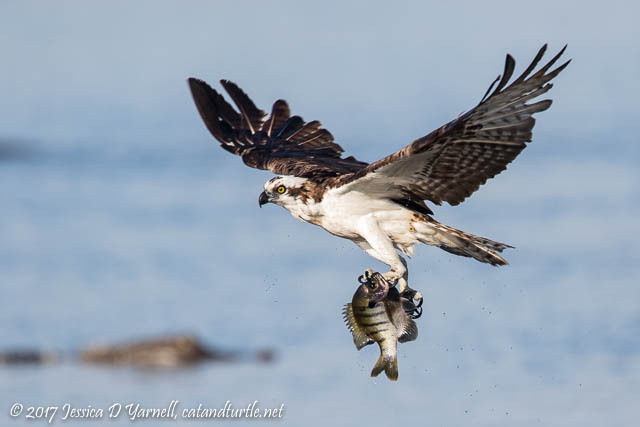 This Osprey dove into the shadows and pulled out a giant fish. I wish he’d flown it towards me instead of towards the lake! As I watched the chaos, I wondered at the brave birds who were all pulling fish from the alligator-infested pond. Then I tried to capture images to show that story. 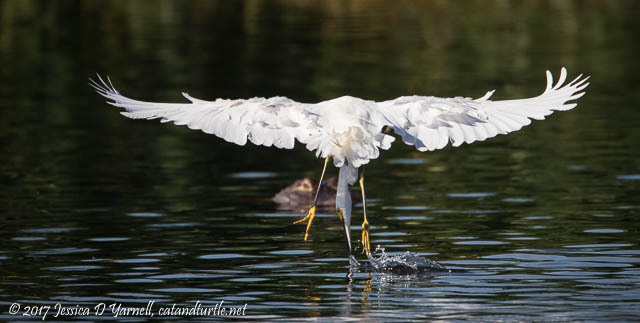 Like this Snowy Egret, who pulled a fish out from right in front of the alligator’s nose! 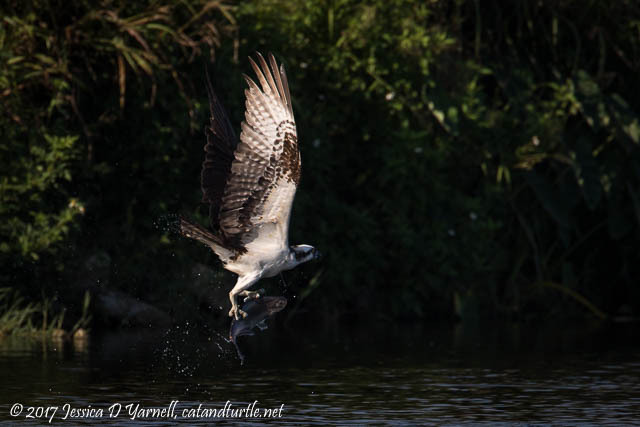 This last Osprey image also shows the alligator as the bird flies off with his huge breakfast. The alligators didn’t show much interest in the birds. I guess there were enough fish to go around. I am SO jealous you found Mister Grosbeak perching on something other than that utility line! Any day along the wildlife drive seems to offer something interesting. Nice capture of the Snowy headed toward the gator. Now it’s time to go looking for migrants already!